In the following interview, conducted by Founder/Publisher Ken McCarthy of Jazz on the Tube we discuss a wide variety of topics. Such as, how I became enamored with Jazz and Latin Jazz; Puerto Ricans contributions to jazz; the Puerto Rican side of James Reese Europe’s Harlem Hellfighters; Juan Tizol; Salsa Meets Jazz at the Village Gate; Ray Barretto, Papo Vazquez and the plight of Puerto Rican musicians on the island post-Hurricane Maria. For an in-depth look at the subject matter I highly recommend the source materials below. Puerto Rican music in New York is given center stage in Ruth Glasser’s original and lucid study. Exploring the relationship between the social history and forms of cultural expression of Puerto Ricans, she focuses on the years between the two world wars. Her material integrates the experiences of the mostly working-class Puerto Rican musicians who struggled to make a living during this period with those of their compatriots and the other ethnic groups with whom they shared the cultural landscape. Author, educator Basilio Serrano shines a light on Juan Tizol, who is best known as a member of the Duke Ellington Orchestra. 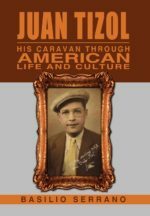 Unbeknown to many, he was also a consummate musician, composer, arranger, sight-reader, transcriber, the first player to use the valve trombone in a jazz setting and a racial trailblazer. 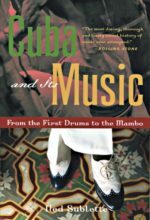 In the chapter, “The Progenitor of Latin Jazz: Trombonist Extraordinaire,” Basilio Serrano makes a case for Tizol and Duke Ellington’s role in the development of Latin jazz. Among other things, he cites the tune “Caravan,” which was composed by Tizol and contains Latin rhythms and jazz, eight years before Mario Bauza’s “Tanga” and the tunes “Moonlight Fiesta” and “Perdido,” which introduced Latin influences to Ellington’s repertoire. Musicians from Puerto Rico played a substantial role in the development of jazz during the early years of the twentieth century, before and during the years surrounding the Harlem Renaissance. 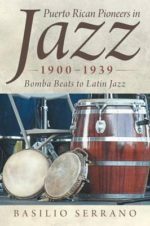 These jazz pioneers, including instrumentalists, composers, and vocalists, were products of the Puerto Rican diaspora in the United States and contributed to the early history of this uniquely American genre.In this study, author Basilio Serrano provides a detailed look at the lives of these men and women and their contributions to the development of jazz and Latin jazz. “As soon as Puerto Ricans were Americans, they were helping transform its music. 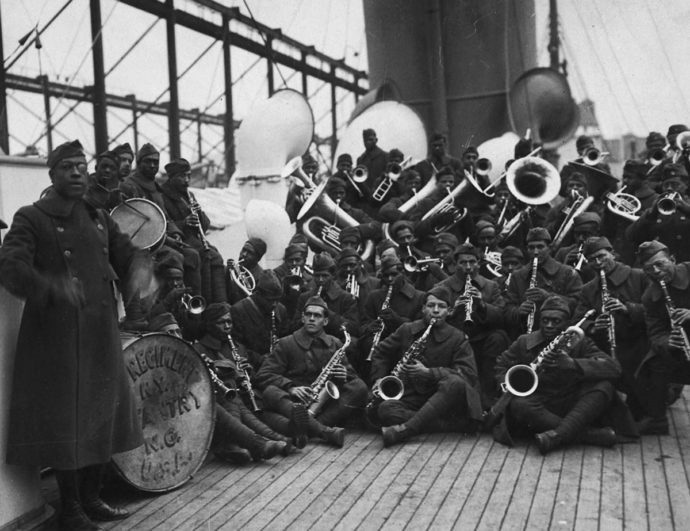 From 1917 on, there is no African American music in New York in which Puerto Ricans don’t figure. They have been a natural part of the jazz in New York since before cats were taking improvised solos and as the “Latin jazz” hybrid developed, they provided critical links between the African-American and Cuban styles, because they were the ones who understood them both; and they made them their own, in their own way. 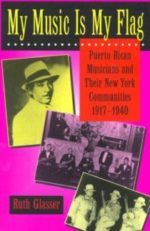 The unique bicultural sophistication of the Puerto Rican is a deep topic – for another book – but it can’t be left unmentioned in talking about the development of music in New York.” To which, I, Tomas Peña, add, “and beyond.” Let the discussion begin! The most widely recorded conguero in jazz, Ray Barretto grew up listening to the music of Puerto Rico and the swing bands of Duke Ellington, Count Basie, and Benny Goodman. Barretto credited Dizzy Gillespie‘s recording of “Manteca,” featuring conguero Chano Pozo, with his decision to become a professional musician. He first sat in on jam sessions at the Orlando, a G.I. jazz club in Munich. In 1949, after military service, he returned to Harlem and taught himself to play the drums, getting his first regular job with Eddie Bonnemere’s Latin Jazz Combo. Barretto then played for four years with Cuban bandleader/pianist José Curbelo. In 1957, he replaced Mongo Santamaria in Tito Puente’s band, with which he recorded his first album, Dance Mania. After four years with Puente, he was one of the most sought-after percussionists in New York, attending jam sessions with artists including Max Roach and Art Blakey and recording with Sonny Stitt, Lou Donaldson, Red Garland, Gene Ammons, Eddie “Lockjaw” Davis, Cannonball Adderley, Freddie Hubbard, Cal Tjader, and Dizzy Gillespie. Barretto was so much in demand that in 1960 he was a house musician for the Prestige, Blue Note, and Riverside record labels. Barretto’s first job as a bandleader came in 1961, when Riverside producer Orrin Keepnews asked him to form a charanga for a recording, Pachanga With Barretto. His next album, Charanga Moderna, featured “El Watusi,” which became the first Latin number to penetrate Billboard’s Top-20 chart. In 1963, “El Watusi” went gold. In 1975 and 1976, Barretto earned back-to-back Grammy nominations for his albums Barretto(with the prize-winning hit “Guarare”) and Barretto Live…Tomorrow. His 1979 album for Fania, Rican/Struction, considered a classic of salsa, was named Best Album (1980) by Latin N.Y. magazine, and Barretto was named Conga Player of the Year. He won a Grammy Award in 1990 for the song “Ritmo en el Corazon” with Celia Cruz.